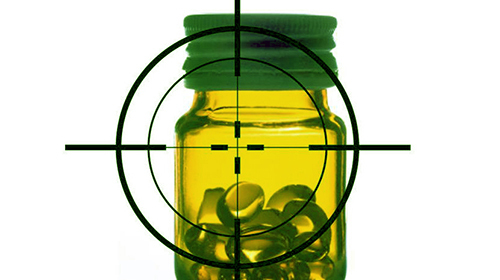 Our right to choose to use natural health products is facing an immediate threat. Health Canada has published a time-table which will bring about re-regulating natural products with the same rules as chemical drugs. This will further restrict our access to natural products. It will also increase the censorship of truthful health information. In the coming days we’ll be releasing an in depth analysis of the upcoming changes in the form of a Discussion Paper. This is a crisis worse then the infamous Bill C-51 in 2008. Those that have been working to ensure that we have the right to access natural products and that we have the right to truthful information about them will feel completely betrayed by Health Canada’s new plan. In the early 1990’s there was a citizen rebellion because Health Canada was using the chemical drug regulations to take natural products away. Citizens rebelled demanding increased access to natural products. They wanted Health Canada to stop imposing the chemical drug regulations on natural products. In response to this rebellion the then Minister of Health, Allen Rock referred question on how to regulate natural products to the Standing Committee on Health. The Committee held the broadest consultations in their history and came up with 53 recommendations. The recommendations made it clear that it was inappropriate to regulate natural products in the same way as chemical drugs (their report is titled: Natural Health Products – A New Vision , November 1998). An expert panel was set up to give further advice to the government. Its report made clear that natural products should not be regulated in the same way as chemical drugs (their report is titled: A Fresh Start – Final Report of the ONHP Transition Team). Their conclusions on the types of evidence that should be allowed for natural products directly conflicts with Health Canada’s current plan to regulate natural products and drugs with the same standards of evidence. Eventually the Natural Health Product Regulations were enacted to regulate natural products differently then chemical drugs. These regulations came into force in 2004. For the last 14 years the natural health community and the government have likely spent tens of billions of dollars transitioning to the new law. This is now being discarded and we will be back to where we were before the citizen rebellion. to amend the Food and Drugs Act to ensure that the penalties and powers that apply to chemical drugs (“therapeutic products”) cannot be made to apply to natural products by regulation. This would ensure that Parliament, and not the government, has the final say in significant changes in how natural products are regulated. For more details click here. to bring about the enactment of the Charter of Health Freedom which would entrench health rights and which would remove the regulation of natural products from Health Canada. For more details click here.